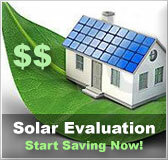 Tennessee residential solar energy incentives | Solar Panels | Solar Power | Site Map | Bookmark This Site! -Tennessee Valley Authority offers a production incentive for installing solar photovoltaics, wind, low impact hydropower, and biomass to customers of participating TVA power companies. -Green power switch is TVA’s green pricing program which provides technical support and incentives for installing renewable energy systems. -Through this program, TVA purchases the solar energy output at $0.12 per kilowatt-hour and all other renewable energy at $0.03 per kilowatt-hour. -Payments are made in the form of a credit on the local participating utility’s monthly bill. -All new participants of the green power switch generation partners program will receive a $1000 incentive to help offset initial cost of the system. -Many utility loan and rebate programs are available throughout the state of Tennessee provided by municipal cities and utility companies. -Details and requirements for each program will vary. -Loan and rebate programs are available for customers who install geothermal heat pumps and water heaters. -Loans are given at low interest to help with the purchase and installation of geothermal and water heating technologies. 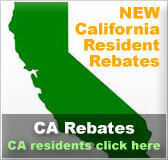 -Rebates are given as a one time set amount for the initial cost of heat pumps and water heaters. 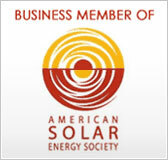 -This personal tax credit allows the taxpayer to claim a credit of 30% of expenditures including labor costs and installation of qualified residential solar-electric systems, solar water heating systems or fuel cells. Small wind-energy systems and geothermal heat pumps can also be accredited for. 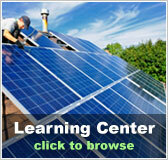 -Solar-electric systems and solar water heaters have a maximum incentive of $2,000 if placed in service before 2009. There is no maximum incentive for systems placed after 2008. -The excess amount of the federal tax credit may be carried forward to the next taxable year if it exceeds tax liability. -This can be carried forward until 2016, but after that, it is unknown if the unused credit will be able to be forwarded. -This is a personal exemption of 100% of energy conservation subsidies provided by public utilities. -The value of a purchase or installation of any energy conservation measure by a customer such as solar water heat, solar space heat or photovoltaics will not be included in the customer’s gross income. -Customers of an electric utility company, who participate in the utility’s energy conservation program, may receive a rate reduction of electricity furnished or a nonrefundable credit against the purchase price of the electricity on each monthly electric bill. -This is a federal loan program where homeowners can use EEM (energy-efficient mortgages) to finance renewable energy technologies in a home.